Sinusitis can range from just having an annoying blocked nose, to experiencing an intense headache. The intensity of the experience, depends upon which sinus cavities are blocked, and the amount of mucus that is blocking them. 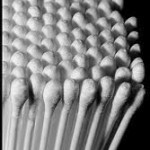 Pour a little of the formula onto your finger, or onto a q-tip, then apply it to the inside of your nostrils, generously, as far back as you can reach in the nasal cavity. Repeat several times a day. In addition, you can open a Peppermint Essential Oil bottle, or a Eucalyptus Essential Oil bottle, and, holding the bottle half an inch from your nostril, inhale slowly and deeply, while blocking the other nostril with your finger. Repeat several times, with both nostrils. The first most common cause of blocked sinus passages, is when nasal passages react to toxins or allergens, which can be anything from pollen to paint fumes, or bacteria to mold. If you suspect that this is the cause, try to analyze which toxin or allergen it could be, then avoid it. It could be a new detergent, a freshly painted room, new couches, perfume…the list is very long. 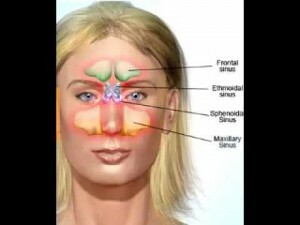 The second most common cause of sinusitis, is a sensitivity to dairy products. Try an elimination diet, then gradually re-introduce cheese, note the reaction, then milk, note the reaction, and so on. The third cause of blocked sinuses, falls under a general category, which only you will be able to figure out: Have you been around cigarette smoke? Have you started a new medication? Do you eat a lot of refined flour foods? Investigate your environmental and dietary habits, for clues. 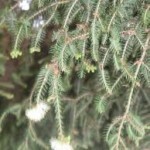 Tea Tree Essential Oil neutralizes many strains of bacteria, fungi, spores, toxins, allergens, and even viruses. It opens the breathing passages. Place 8 drops of Tea Tree Essential Oil, in 1 oz of water. Shake. It is best to combine all the above remedies and approaches, if you would like to cure your sinusitis permanently. It doesn’t have to be complicated. Your remedies for sinusitis could be as simple as cutting out milk, and refusing to be around smokers.